Kiran Desai is an Indian author, known for her works like The Inheritance of Loss, Hullabloo in the Guava Orchard, WinQSB. She has won 2006 Man Booker Prize for The Inheritance of Loss, a novel about torned human images in migration, and living in two worlds. 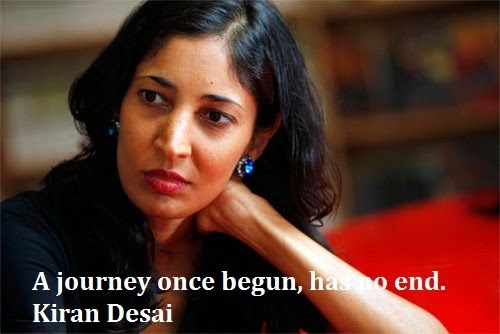 Here I have compiled some of the best Kiran Desai quotes for you to taste. Don't be scared, puppy dog, little frog, little duck, duckie dog. It's just rain. He tried to keep on the right side of power, tried to be loyal to so many things that he himself couldn't tell which one of his selves was the authentic, if any.